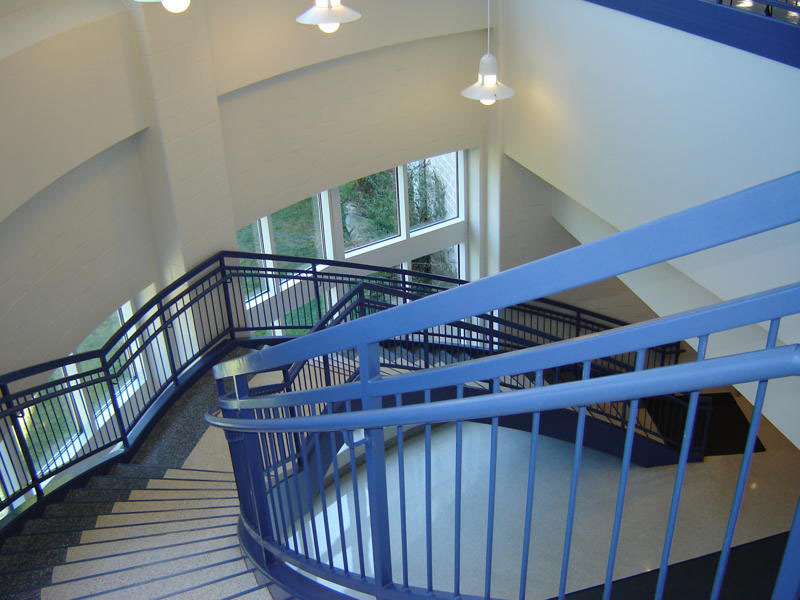 When you’re choosing stairs for your new building or replacing ones in an existing structure, there are a variety of stair designs and materials from which you can choose. Especially in rustic or refurbished buildings, wooden stairs seem to fit in perfectly. However, even in these buildings, metal fabricated stairs are the best choice. Metal fabricated stairs will stand the test of time, and you can get the same kind of rustic qualities in a metal staircase as you can in a wooden one. Pinnacle Metal Products can make everything from industrial stairs to metal fabricated stairs for the average home or small building. Especially with spiral staircases, the decision between wood and metal can seem hard to make. However, the benefits of metal far outweigh those of wood. Metal lasts a ton of time, doesn’t get damaged as easily, won’t get scratched by a pair of high heels or the house cat, and can even give the same feel as wood. Take, for example, wrought iron. Wrought iron can give the same kind of rustic look and feel as wood without all the possibilities of damages. If you’re interested in creating something truly unique, look no further. Pinnacle Metal Products has all the resources necessary to give you unique and customized metal fabricated stairs. If you are looking to replace the stairs in an existing building or add stairs to a building you’re building from scratch, Pinnacle can get you just the right stairs to complete your project. If you have any questions about Pinnacle’s past projects, give us a call at 1-614-298-0300. We would be happy to answer any of the questions that you have.